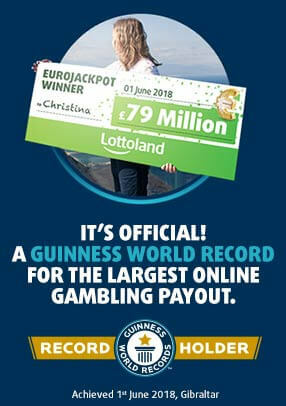 This article mentions lottery ticket wins but always remember at Lottoland you don't buy tickets, you bet on the results of lottery draws. ‘The winner has had their ups and downs but is a popular character”, the press were told, though that hardly narrows things down. This is EastEnders after all, where sadistic writers regularly put well-loved characters through painful and protracted descents into hell – week after week, month after month, with no apparent redemption in sight. To say that the tone on EastEnders has gotten a little dark of late is something of an understatement. So there are plenty of candidates on Albert Square for whom a seven-figure lottery win would mark a life-changing reversal in fortunes – all thanks to a humble scratch card. The mystery winner will be revealed in 8-12 weeks according to the press – so a few months out, but then that’s a blink of the eye in EastEnders story arc terms. (It took almost a year for Lucy’s killer to be revealed – and many fans found the outcome quite disappointing). 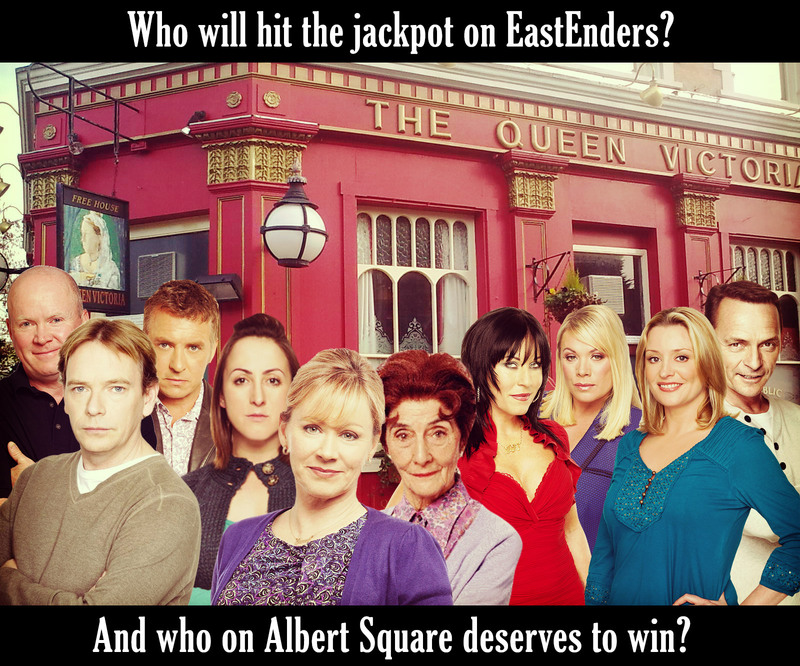 Once the winner is revealed he or she will then throw a huge party at the Queen Vic to celebrate – and, since this is EastEnders, it’s fair to say that, alongside the celebrations, some bitterness and begrudgery will also ensure. Apparently the iconic bar will also feature in the storyline and there’s rumours that the winner will also seek to purchase it – hmmm…. Albert Square Winners - It Could Be Who? So, who exactly will it be? Well only the Beeb knows for sure, but it’s fun to speculate. Since, as reported, the idea is to lend a silver lining to all the dark clouds over the Square we’ve compiled a list of characters we think are long overdue a change of fortune. Two of EastEnders’ most beloved characters that certainly tick both the popularity and ups and downs boxes are Kat and Alfie Moon. Their relationship has hit the rocks and they have both been financially and emotionally crippled, so a seven-figure lottery win would be just the thing to mend their broken lives – as many viewers will no doubt welcome. Kat, in particular, will feature strongly in upcoming episodes. It has also been revealed she will even attempt suicide. Seeing the Moons rekindle their love, have an end to their financial hardship and reclaim the Vic would prove extremely popular with viewers. There’s also rumours that the Vic will, in the end, not be sold, and therefore the winners will instead move to Australia’s sunny Gold Coast. It’s exactly the fairytale ending that EastEnders fans have long dreamt of. The Saint of Albert Square is another beloved character who has had quite a run of bad fortune of late, climaxing in her being imprisoned for “killing” her wayward and odious son Nick, who died of a heroin overdose. Although not directly responsible for his death she did procure the heroin for her son to ease his suffering and therefore accepted the prison sentence as a means of atoning for her sins and to punish herself for her utter sense of failure as a mother. While such a win would certainly bolster her financially, she’s certainly not the type to splurge on fancy clothes and foreign holidays. As one of Albert Square’s more moral, upstanding characters it’s far more likely she would donate the money to charity – perhaps to one helping to rehabilitate drug addicts like Nick so other mothers need not suffer the same fate. Ok, so we need to play the semantics game here. They did say it would be a “popular” character, but they never said “loved”. 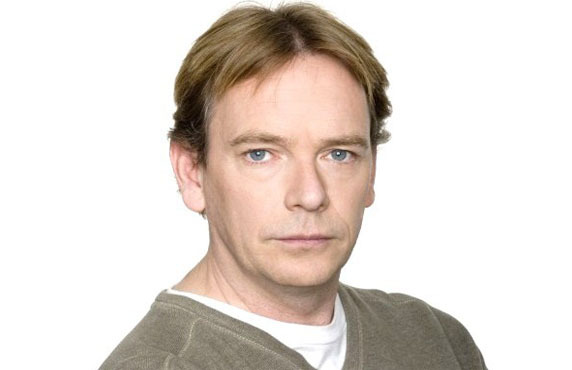 Ian Beale fits the former category, but not the second. He’s crossed too many people on Albert Square too many times and viewers find him petty, conniving and often heartless. Still, even the most cold-hearted Beale detractors can’t help but empathise with his character in wake of the cascade of calamities that have befallen him of late. 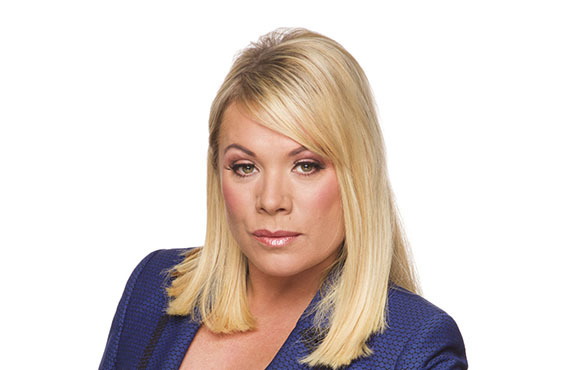 Jane Beale, Ian’s long-suffering wife, could also get some manner of compensation for sticking by him all these years. It would certainly be popular with viewers. 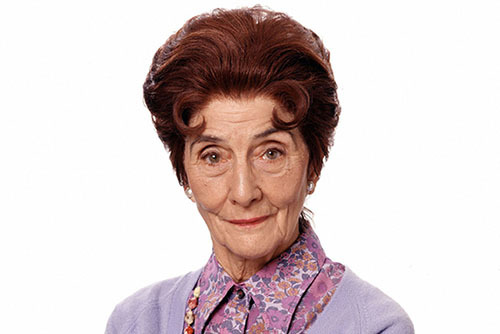 Still, as with the case of Dot Cotton, it’s would be a hollow victory in light of recent events. 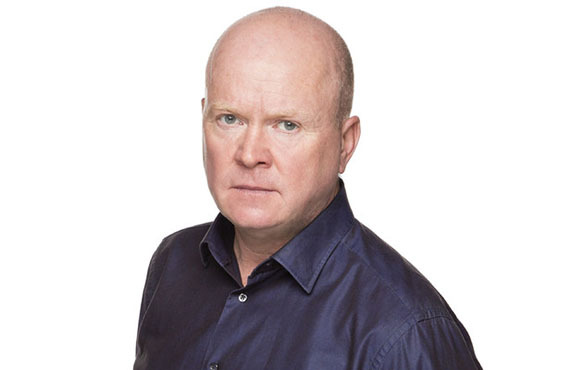 When it comes to popular EastEnders characters few can compete with hard man Phil Mitchell. And as for a character who’s had his fair share of highs and lows, there’s few on the Square who’ve gotten as high, or sunk so low, while still remaining popular and beloved by the viewing public. Such a lottery windfall could turn Phil’s life around also, allowing him to reclaim his business empire by regaining control of both the garage and the Vic. Question is, could this really be a happy ending? Can that sullen, trouble-stirring cue ball ever have a happy ending? Or would he once again manage to mess it all up (again) and fritter it all away by getting back on the grog (or worse)? Realistically, which way do you think the writers will lean? Sharon and Phil are the undisputed masters of convoluted emotional brinkmanship with strange entanglements and plot developments that would flabbergast even William Shakespeare. Remember that whole storyline about the staged break-in at the Albert and the resulting marital machinations? It’s just one story arc of many involving the pair. We know Sharon would love nothing more than to own the Queen Vic – not only would it lend her a sense of vindication, it would also afford her full financial independence from Phil who, let’s be frank, is unreliable and unpredictable to say the least. Who Do You Think It Will Be? Right now we think that Kat and Alfie are the most likely to win and, considering some of the comments on Facebook, we’re not alone. Course we could be wrong. As is often the case with EastEnders the writers love nothing more than to throw us curveballs. We get a plot leak and subsequently convince ourselves we know exactly how the drama is going to unfold only to be utterly stunned by the eventual revelations. Fact is none of the people above could be the winner, it could be somebody else completely in a plot twist none of us saw coming – the key word here is drama! Then again, you might have some insights of your own! If so please share it with us on our Facebook page! We’d love to know. If you love both EastEnders and the lottery then 7:30pm is the time - maybe you too will get lucky. Bet at Lottoland and by the time the show is over, you could well be notified of a lottery win yourself this Tuesday night and buy the Queen Vic yourself! How do VEW Bets Work?